A condemned Ohio inmate who weighs 480 pounds and has a history of difficulty losing weight argues he would face a "torturous and lingering death" if executed in January. Ronald Post, who shot and killed a hotel clerk in northern Ohio almost 30 years ago, said his weight, vein access, scar tissue, depression and other medical problems raise the likelihood his executioners would encounter severe problems. He's also so big that the execution gurney might not hold him, lawyers for Post said in federal court papers filed Friday. "Indeed, given his unique physical and medical condition there is a substantial risk that any attempt to execute him will result in serious physical and psychological pain to him, as well as an execution involving a torturous and lingering death," the filing said. Post, 53, is scheduled to die Jan. 16 for the 1983 shooting death of Helen Vantz in Elyria. The woman worked in a motel Post was robbing, and died after the man shot her twice in the back of the head. According to The Cleveland Plain Dealer, Vantz's son, William, laughed when he first heard about the request, but immediately turned serious. "I don't care if they have to wheel him in on a tractor-trailer; 30 years is too long," he said, according to The Plain Dealer. "Enough is enough. This is just an excuse to get out of the execution." Post's attorneys also want more time to pursue arguments that claims of a full confession by the inmate to several people have been falsely exaggerated. "Post's case is about more than his weight, and his life should be spared for reasons wholly unrelated to his obesity," his federal public defender, Joseph Wilhelm, said in a statement. Inmates' weight has come up previously in death penalty cases in Ohio and elsewhere. 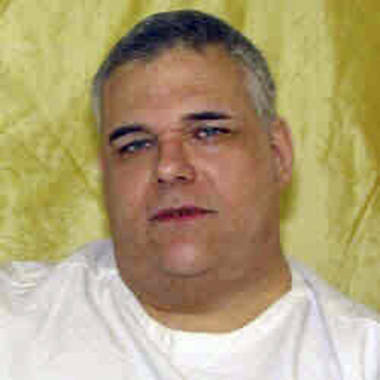 In 2008, federal courts rejected arguments by condemned double-killer Richard Cooey that he was too obese to die by injection. Cooey's attorneys had argued that prison food and limited opportunities to exercise contributed to a weight problem that would make it difficult for the execution team to find a viable vein for lethal injection. In 1994 in Washington state, a federal judge upheld the conviction of Mitchell Rupe, but agreed with Rupe's contention that at more than 400 pounds, he was too heavy to hang because of the risk of decapitation. Rupe argued that hanging would constitute cruel and unusual punishment. Medical personnel have had a hard time inserting IVs into Post's arms, according to the court filing. Four years ago, an Ohio State University medical center nurse needed three attempts to insert an IV into Post's left arm, the lawyers wrote. Post's request for gastric bypass surgery has been denied, he's been encouraged not to walk because he's at risk for falling, and severe depression has contributed to his inability to limit how much he eats, his filing said. According to The Plain Dealer, Post's attorneys said his weight has yo-yoed for years. At one point, the paper reported, the 6-foot-3 convict lost 150 pounds. While at the Mansfield Correctional Institution, Post "used that prison's exercise bike until it broke under his weight," according to the filing. Post currently uses a wheelchair at the Franklin Medical Center in Columbus, The Plain Dealer reported. In an open letter last year, William Vantz said that he’s still waiting for justice to be served for his mother. “Some have said that since it’s been so long just let [Post] stay in prison for the remainder of his natural life. No!” William Vantz wrote for the Morning Journal. "I am as committed to this as the day he took her life. I will never forgive or forget what he took from us. We all have recourse to the law and it’s time he paid his debt to society. It’s way overdue!" Post's case is unusual, as the man pleaded no contest to the murder charges, The Plain Dealer reported. That means he did not admit to having committed the crime, but chose instead not to challenge the facts presented by the prosecution.